A guide to wine for your Brexit leaving drinks… | StyleAble Fashion For Everyone! Bad news: Oddbins has gone into administration…oh, Brexit! The world seems to be going bonkers and the only way I can deal with it is to pepper the bad news with some good. I have also taken to writing about things that although trivial, act as a distraction to the rising feeling of panic I wake up with (It peaks when I turn on the news). So, if you have a problem with my upcoming post on ‘Why your highlighter is so 2018’ then speak to my therapist. k? If you are not already drinking copious amounts of wine to block out the mania, then this handy guide may help to get you started (don’t@me). The first thing that you need to be aware of is the temperature at which wine should be served. Your wine should ideally be stored in an area where it can be kept at an ideal temperature, but you may need to chill certain types of wine before you serve them to your guests. When you know which temperature a specific wine should be served at, you are essentially then on the clock to make sure that it gets to the perfect temperature at just the right time. The general rule of thumb here is that wine will experience a temperature drop of 4F (2C) for every 10 minutes in the fridge. If you are trying to increase the temperature of a wine that has been chilled, those same time and temperature numbers will increase at the same rate, when placing the wine at room temperature. When you are serving the wine, always pour directly into the center of the glass, as this allows the flavour and aroma to essentially bloom inside the glass. It is always best that the glass be no more than half full, as this not only makes the wine easier to drink, but also means that the drinker can get their nose in there and take in the aroma of the wine. Those who love and appreciate wine do not just do so for the flavour sensation, but also the aromas that each individual wine delivers. Part of the fun of wine drinking is weighing in on the elements that went into putting it together. Do not take that part of the process away by filling the glass to the brim. A big part of getting the serving correct is making sure that you always use the correct glass. The exact same glass should not be used for white wine as is used for red. White wines are generally served in taller, slimmer glasses, while red wines benefit from a larger bowl. The choice of glass is crucial if you want to deliver the full taste and aroma of the wine, whilst also making it easier for your guests to appraise the wine that you are serving. 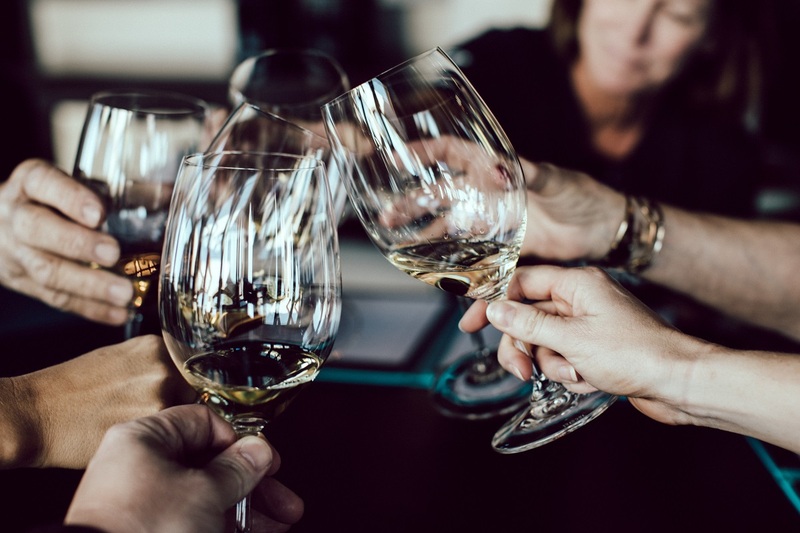 These etiquette tips are basically just scratching the surface of what is expected, but by following these you will be well on your way to looking like a wine connoisseur! (Ewww, I hate you already). What do you think? Will you bother with wine etiquette? (Edited and updated from previous post). Wow, I have to admit that the only point made in this article that I knew about was to only fill the glass half way. Great info. I am now ready to impress my buddies. I mean, I know how long to cool or warm a wine and will give them a hassle if they start to serve their red wine in a glass that is most suitable for white. Really, I think this was a very helpful article. Now someone write about what to look for (or sniff for) in a wine. That would also be helpful to people like me. Thanks for the story. Thanks Josh and good idea! I don’t bother with any of it. Just pour it in my glass thanks.